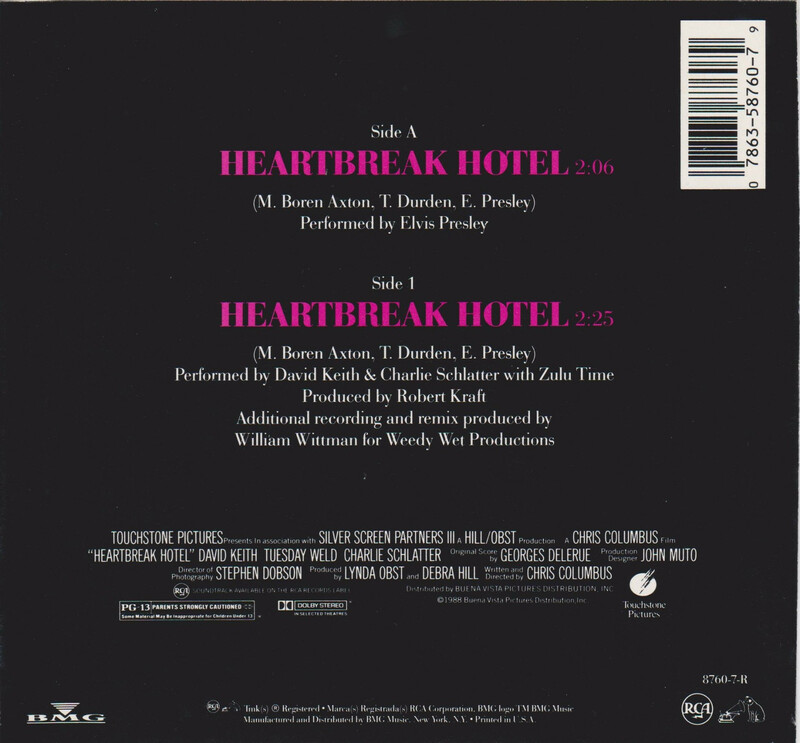 Brief History : This 45 release was from the 1988 motion picture Heartbreak Hotel A rock and roll fantasy. 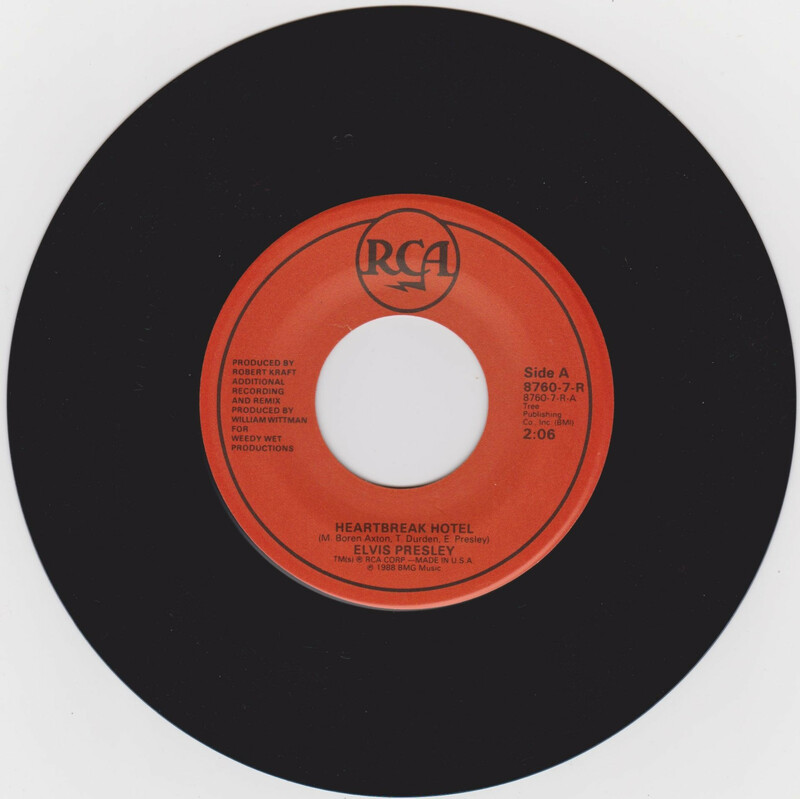 Label : Reddish with black lettering & RCA logo top. *NOTE* Side A is sung by Elvis Presley & Side 1 is sung by David Keith. 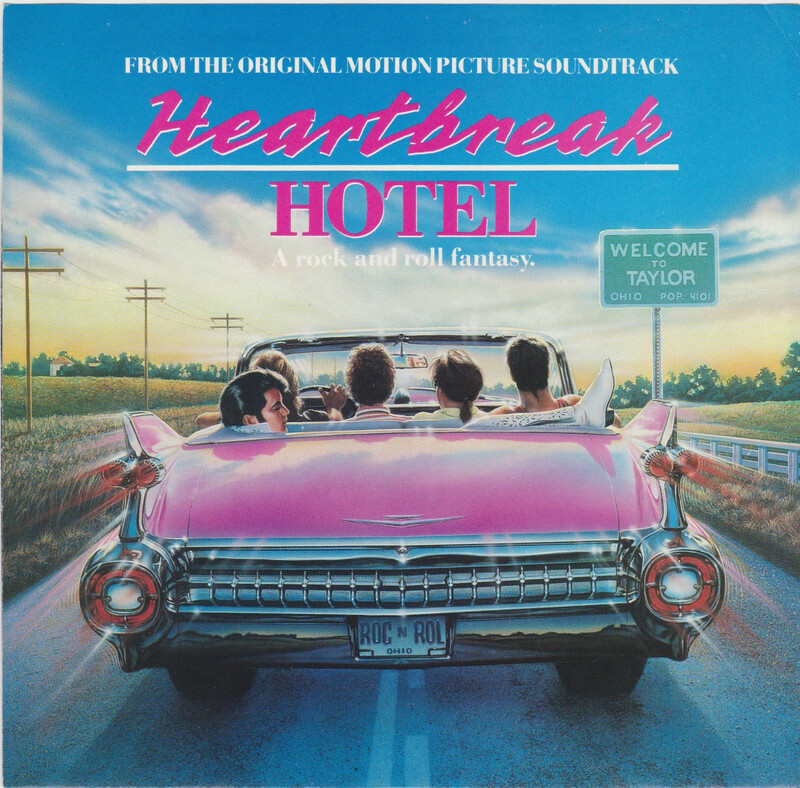 The song is from the movie Heartbreak Hotel.